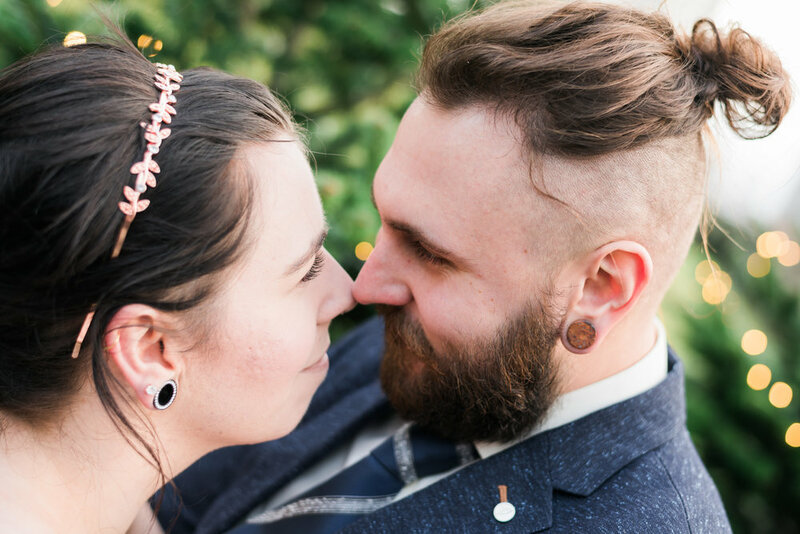 On the 19th of December, I had the great honour to photograph Nicole & Jordans wedding. 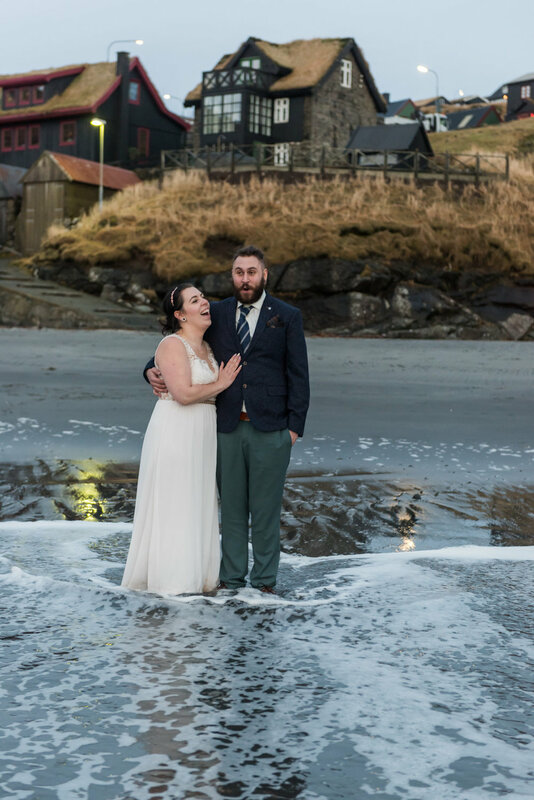 But this was a slightly different wedding as they were traveling to the Faroe Islands from Edmonton Canada. Back when they were planing their wedding, they made the decision to Elope as they did not want the fuss that often comes with a wedding. They had been listening to music when this one song "Far Away" came on by the singer Eivør Pálsdóttir. 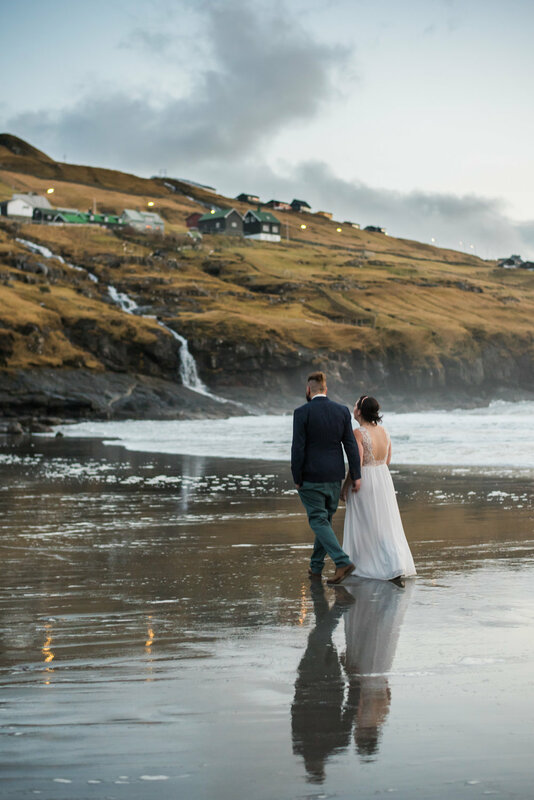 They found the song to be beautiful and searched where Eivør was from and for the first time, they discovered the Faroe Islands and this is where they were to marry. 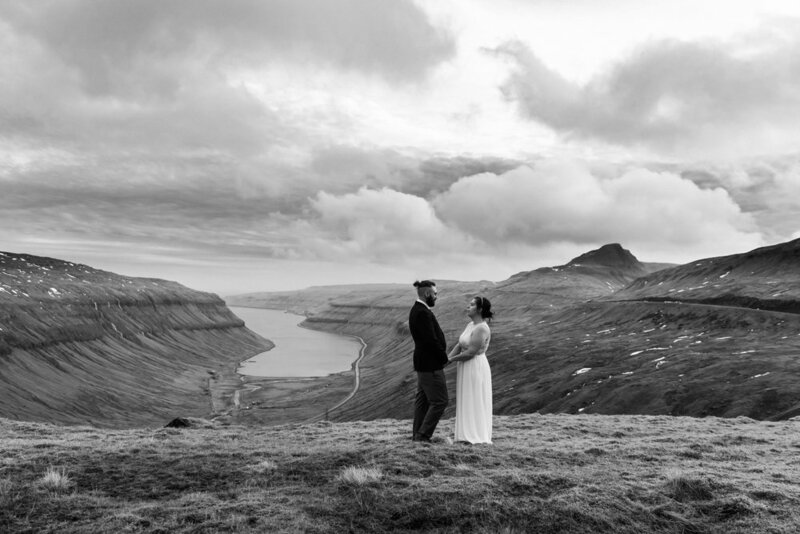 They contacted myself through a wedding portal (https://www.brudleyp.fo/wedding) i'm part of in the Faroe islands and after a few emails they booked myself to capture their day. 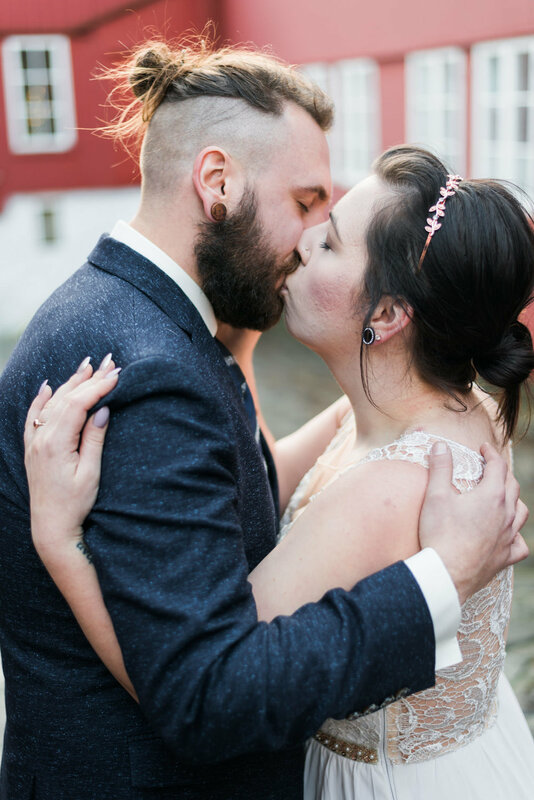 I know how intimidating it is to travel to another country, let alone get married and I wanted them to leave with the happiest memories. 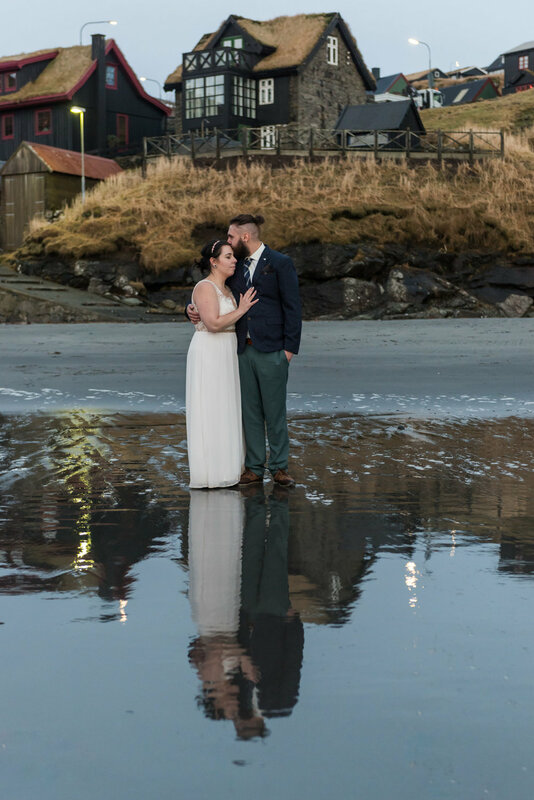 I sent them links to so many of the different locations to visit for portraits and I think it might have been a bit overwhelming and they let me decide. Being so far north and in December has it's complications with light. By 3pm it is almost pitch black and they were getting married at 1pm. This meant very limited time and ruled out many of the locations that involved a long drive. The second element I was worried about was the Weather. The weather is incredibly difficult unpredictable and the reports were all rain and wind. We met with Nicole and Jordan out sound the council building where they were due to marry and we had an hour before the ceremony. 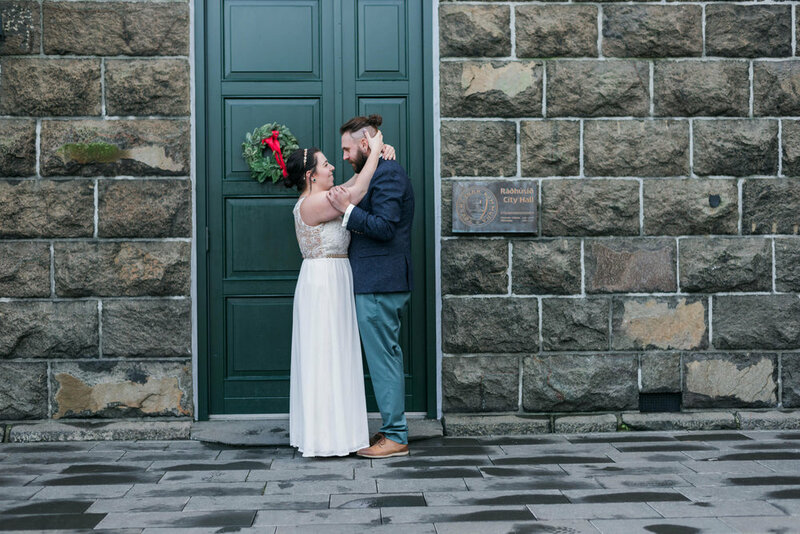 We decided we would break the ice and start off with some photographs at the old parliament buildings: Tinganes. We hit it off great and and they both very quickly relaxed in front of the camera. 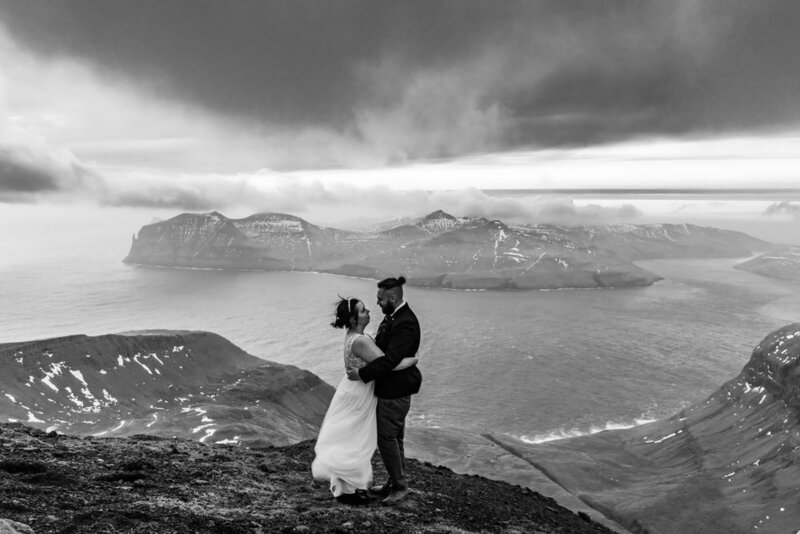 The local mayor married them in a stunning room with beautiful words, Iris and I were lucky to be their witnesses. 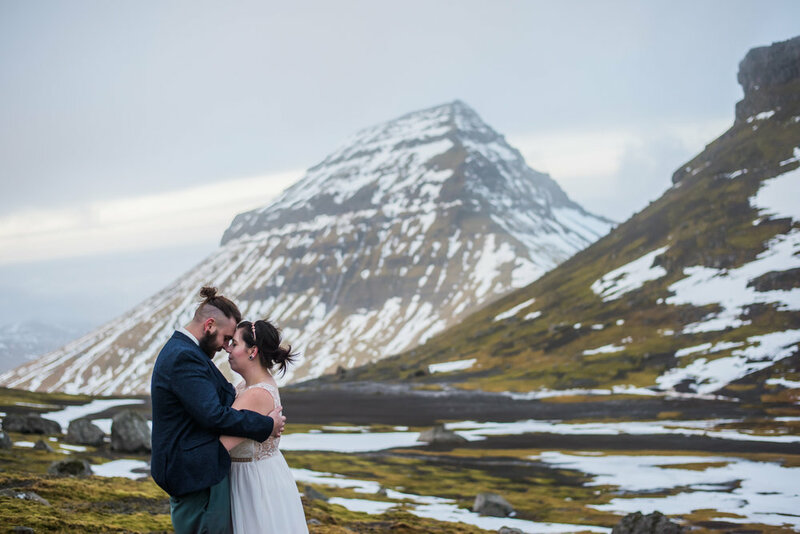 Jordan & Nicole jumped in our car and we started off up at Hotel Tórshavn which offers a beautiful panoramic view over Tórshavn. For the next two hours we visited some of the most beautiful and dramatic locations. Apart from a little wind, the light was perfect and just could not believe how lucky we were. Nicole & Jordan were amazing, they were natural in front of the camera. They were just themselves and happy (as to be expected) to be in each others company. They never once complained about the cold or having to stand around while I took photographs even when they were on the beach and the tide came in quick and covered their feet. We ended they night by treating them to one of the amazing French Hot dogs and a jolly cola. What perfect way to end the day. I can't thank Nicole & Jordan for putting their trust in me and being an amazing couple. I wish you both all the best with the future and I hope our paths cross again.